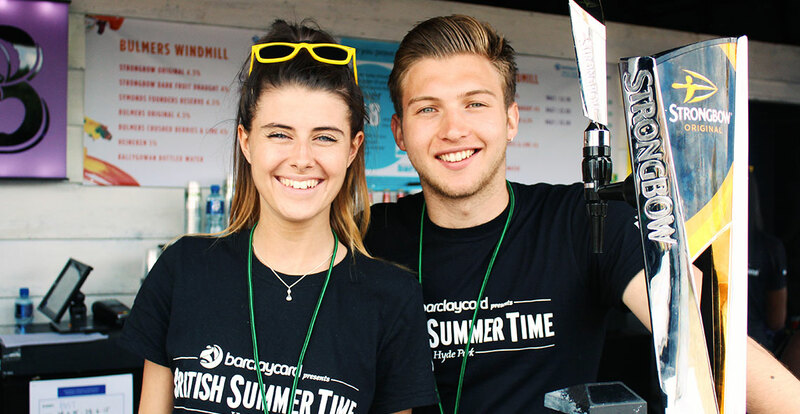 Come and join the dynamic and hugely motivated team here at Peppermint – with events such as British Summer Time Hyde Park, Bestival & Camp Bestival, Field Day, Lytham Festival, Carfest, All Points East, Henley, Ascot and 25+ more…! Other full time vacancies visit this page and choose Peppermint on the drop down menu. 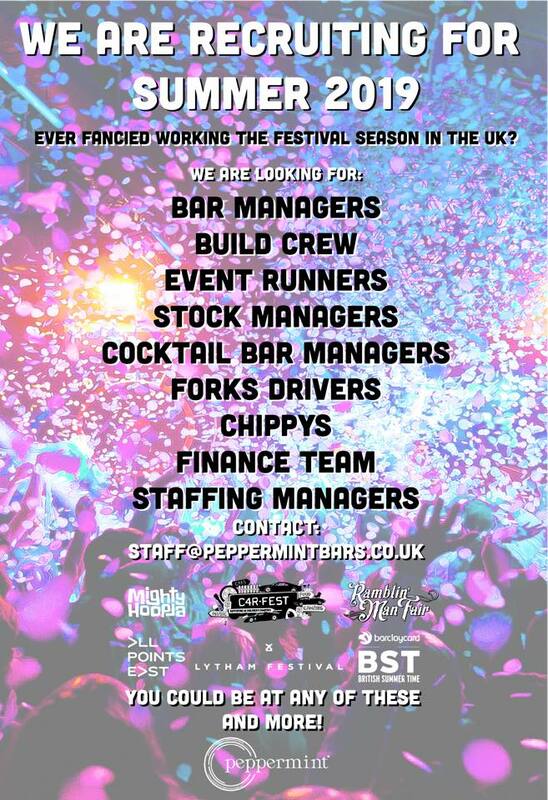 Details the barstaff and runners rqd plse. Can you please advise if accommodation is guaranteed and provided for staff at each event. iv been in the bar for about 5 years currently working at the o2 Amex lounge looking for extra work. Heard about peppermint and the events you do and hoping to join the team. Contact me i would like to work for you in your events it would be a pleasure. Keep up to date with the latest industry news and updates. Interested in learning more? Give us a call on 0333 043 7845 or send us a message to speak with one of our team.